In September 2015, Tikkurila's Vantaa staff took part as a part of their sporting and cultural day in a magnificent and vibrant art work on the wall of a building. 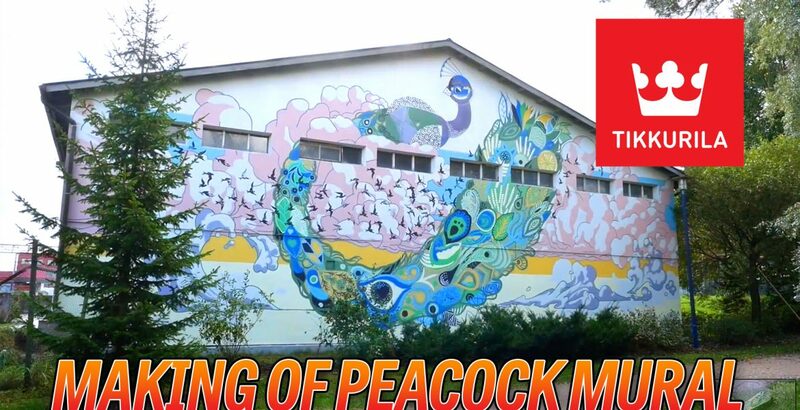 Watch the video of mural painting and the Tikkurila work. Street Art Vantaa hosted a participatory mural project with Tikkurila Group paint factory's employees. DigiScoop did capture the joy and energy of Tikkurila team and produced this event video. Click and view more information about Tikkurila brand here! View more video productions from DigiScoop here.